Experience the highest level of luxury at Vidanta Acapulco. The Grand Mayan consents guests with its spacious rooms, its private pools and its extensive Slow River. Immerse yourself in the pool, play on the beach or float on the exclusive Rio Lento. 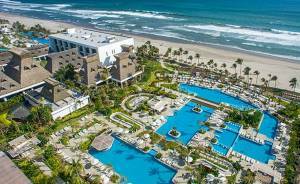 The Grand Mayan Acapulco will give you the special vacation you dream of with first class accommodations and amenities. Intimate comfort and ultimate service are the traits that characterize Sea Garden Acapulco. 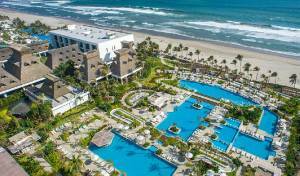 Enjoy everything the resort has to offe at htis 4-star Acapulco hotel in Diamante, near Playa Revolcadero. 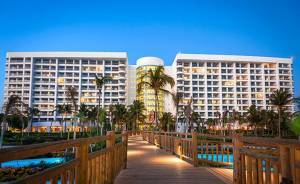 Sea Garden Acapulco is your portal to the perfect vacation, filled with adventure, relaxation, and constant entertainment.